Please use this prayer guide until God unmistakably provides Grace Baptist with the pastor that He has chosen to lead His people. Prayer Prompts: Pray for our church to wholeheartedly trust the Lord while searching for a pastor. Pray for the church and search team to hear the Spirit clearly throughout the pastor search process. Pray for a strong sense of unity among the search team as they review and discuss potential pastoral candidates. Pray for members of the search team to remain close to Christ. As the Father has loved me, so have I loved you. Abide in my love. If you keep my commandments, you will abide in my love, just as I have kept my Father's commandments and abide in his love. These things I have spoken to you, that my joy may be in you, and that your joy may be full. “This is my commandment, that you love one another as I have loved you. Greater love has no one than this, that someone lay down his life for his friends. You are my friends if you do what I command you. No longer do I call you servants,[a] for the servant does not know what his master is doing; but I have called you friends, for all that I have heard from my Father I have made known to you. Scripture Reading: You did not choose me, but I chose you and appointed you that you should go and bear fruit and that your fruit should abide, so that whatever you ask the Father in my name, he may give it to you. These things I command you, so that you will love one another. Pray for the search team to be blessed with answered prayers. Prayer Prompts: Pray for the search team and the church to hope in God and seek Him wholeheartedly with the realization that He is in control of the church's future. Examine me, and probe my thoughts! Test me, and know my concerns! See if there is any idolatrous tendency in me, and lead me in the reliable ancient path! Prayer Prompts: Pray for our church family and members of the search team to have hearts that are pure as we work through the pastor search process. Finally, be strengthened in the Lord and in the strength of his power. Clothe yourselves with the full armor of God so that you may be able to stand against the schemes of the devil. Pray for God's protection on the search team and the church. Scripture Reading: So you, my child, be strong in the grace that is in Christ Jesus. And entrust what you heard me say in the presence of many others as witnesses to faithful people who will be competent to teach others as well. Pray that our future pastor will be a faithful disciple-maker. Prayer Prompts: Pray for the search team to seek God's wisdom as they review resumes and prepare to contact potential pastoral candidates. Pray for our church leaders to seek God's wisdom in the interim period. For this reason we also, from the day we heard about you, have not ceased praying for you and asking God to fill you with the knowledge of his will in all spiritual wisdom and understanding, so that you may live worthily of the Lord and please him in all respects—bearing fruit in every good deed, growing in the knowledge of God, being strengthened with all power according to his glorious might for the display of all patience and steadfastness, joyfully giving thanks to the Father who has qualified you to share in the saints’ inheritance in the light. Pray the Father will be glorified in the pastor search process. So those who accepted his message were baptized, and that day about three thousand people were added. They were devoting themselves to the apostles’ teaching and to fellowship, to the breaking of bread and to prayer. Prayer Prompts: Pray for the church to reflect the elements of a healthy church both in the interim period and when the new pastor is called serve. Prayer Prompts: Pray for the search team and Grace Baptist to be obedient to Christ's command to love one another. Pray that our Christ-like love will be seen by the world. Now to him who by the power that is working within us is able to do far beyond all that we ask or think, to him be the glory in the church and in Christ Jesus to all generations, forever and ever. Amen. Prayer Prompts: Pray the power of Christ would be known in and through Grace Baptist and that all glory would be given to Him throughout the pastor search process. Prayer Prompts: Pray for each member of the search team to stay close to the Lord through hearts that are continually cleansed by Him. Pray for your next pastor to keep a clean heart before the Lord. I solemnly charge you before God and Christ Jesus, who is going to judge the living and the dead, and by his appearing and his kingdom: 2 Preach the message, be ready whether it is convenient or not, reprove, rebuke, exhort with complete patience and instruction. 3 For there will be a time when people will not tolerate sound teaching. Instead, following their own desires, they will accumulate teachers for themselves, because they have an insatiable curiosity to hear new things. 4 And they will turn away from hearing the truth, but on the other hand they will turn aside to myths. 5 You, however, be self-controlled in all things, endure hardship, do an evangelist’s work, fulfill your ministry. Pray the Lord gives Grace Baptist a hunger of the Word of God and receptivity to the sermons that are preached by the new pastor. Prayer Prompts: Pray for your future pastor to faithfully shepherd Grace Baptist and for members of our church to willingly and joyfully place themselves under his servant leadership. 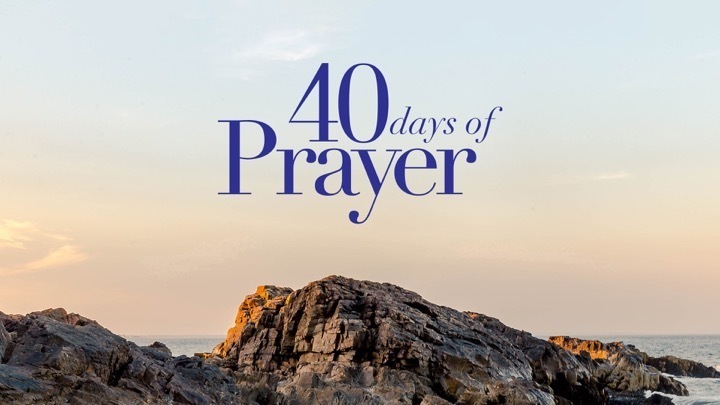 Prayer Prompts: Pray for each member of the search team to have an overwhelming sense of God's presence and guidance as they work through the steps of the pastor search process. Pray for the search team to be attentive to the Lord's wisdom. Where do the conflicts and where do the quarrels among you come from? Is it not from this, from your passions that battle inside you? You desire and you do not have; you murder and envy and you cannot obtain; you quarrel and fight. You do not have because you do not ask; you ask and do not receive because you ask wrongly, so you can spend it on your passions. Adulterers, do you not know that friendship with the world means hostility toward God? So whoever decides to be the world’s friend makes himself God’s enemy. Or do you think the scripture means nothing when it says, “The spirit that God caused to live within us has an envious yearning”? But he gives greater grace. Therefore it says, “God opposes the proud, but he gives grace to the humble.” So submit to God. But resist the devil and he will flee from you. Draw near to God and he will draw near to you. Cleanse your hands, you sinners, and make your hearts pure, you double-minded. Grieve, mourn, and weep. Turn your laughter into mourning and your joy into despair. Humble yourselves before the Lord and he will exalt you. Do not speak against one another, brothers and sisters. He who speaks against a fellow believer or judges a fellow believer speaks against the law and judges the law. But if you judge the law, you are not a doer of the law but its judge. But there is only one who is lawgiver and judge—the one who is able to save and destroy. On the other hand, who are you to judge your neighbor? Pray for the search team to continually submit to God's will. “I am not praying only on their behalf, but also on behalf of those who believe in me through their testimony, that they will all be one, just as you, Father, are in me and I am in you. I pray that they will be in us, so that the world will believe that you sent me. The glory you gave to me I have given to them, that they may be one just as we are one— I in them and you in me—that they may be completely one, so that the world will know that you sent me, and you have loved them just as you have loved me. Prayer Prompts: Pray for Grace Baptist to be unified so that the world will be impacted with the gospel and the Father will be glorified. Pray for the search team to be unified in their decision making. Pray for the search team as they listen to sermons of potential pastoral candidates. Prayer Prompts: Pray that a burden for deep and urgent prayer permeates our church not only as you seek God's will for a pastor, but also as you seek God's vision for Grace Baptist. This saying is trustworthy: “If someone aspires to the office of overseer, he desires a good work.” The overseer then must be above reproach, the husband of one wife, temperate, self-controlled, respectable, hospitable, an able teacher, not a drunkard, not violent, but gentle, not contentious, free from the love of money. He must manage his own household well and keep his children in control without losing his dignity. But if someone does not know how to manage his own household, how will he care for the church of God? He must not be a recent convert or he may become arrogant and fall into the punishment that the devil will exact. And he must be well thought of by those outside the faith, so that he may not fall into disgrace and be caught by the devil’s trap. Pray for your future pastor's family as they transition to a new field of ministry. Therefore, as the elect of God, holy and dearly loved, clothe yourselves with a heart of mercy, kindness, humility, gentleness, and patience, bearing with one another and forgiving one another, if someone happens to have a complaint against anyone else. Just as the Lord has forgiven you, so you also forgive others. And to all these virtues add love, which is the perfect bond. Let the peace of Christ be in control in your heart (for you were in fact called as one body to this peace), and be thankful. Let the word of Christ dwell in you richly, teaching and exhorting one another with all wisdom, singing psalms, hymns, and spiritual songs, all with grace in your hearts to God. And whatever you do in word or deed, do it all in the name of the Lord Jesus, giving thanks to God the Father through him. Prayer Prompts: Pray for Grace Baptist to grow in love toward one another. For this reason, because I have heard of your faith in the Lord Jesus and your love for all the saints, I do not cease to give thanks for you when I remember you in my prayers. I pray that the God of our Lord Jesus Christ, the Father of glory, may give you spiritual wisdom and revelation in your growing knowledge of him, —since the eyes of your heart have been enlightened—so that you may know what is the hope of his calling, what is the wealth of his glorious inheritance in the saints, and what is the incomparable greatness of his power toward us who believe, as displayed in the exercise of his immense strength. This power he exercised in Christ when he raised him from the dead and seated him at his right hand in the heavenly realms far above every rule and authority and power and dominion and every name that is named, not only in this age but also in the one to come. And God put all things under Christ’s feet, and he gave him to the church as head over all things. Now the church is his body, the fullness of him who fills all in all. Pray for Grace Baptist to look to Christ as the Head of the body. Prayer Prompts: Pray for Grace Baptist to be committed to biblical worship. Pray for the search team to be confident that they are following God's will as they make decisions regarding our future pastor. So as your fellow elder and a witness of Christ’s sufferings and as one who shares in the glory that will be revealed, I urge the elders among you: Give a shepherd’s care to God’s flock among you, exercising oversight not merely as a duty but willingly under God’s direction, not for shameful profit but eagerly. And do not lord it over those entrusted to you, but be examples to the flock. Then when the Chief Shepherd appears, you will receive the crown of glory that never fades away. Prayer Prompts: Pray that our future pastor shepherds Grace Baptist in a biblical and Christ-exalting manner. Pray for our future pastor's walk with Christ. In the same way, you who are younger, be subject to the elders. And all of you, clothe yourselves with humility toward one another, because God opposes the proud but gives grace to the humble. 6 And God will exalt you in due time, if you humble yourselves under his mighty hand 7 by casting all your cares on him because he cares for you. Prayer Prompts: Pray for mutual respect and humility between our church and our future pastor. Pray for Grace Baptist to follow the leadership of our future pastor. Be sober and alert. Your enemy the devil, like a roaring lion, is on the prowl looking for someone to devour. Resist him, strong in your faith, because you know that your brothers and sisters throughout the world are enduring the same kinds of suffering. Prayer Prompts: Pray for the search team to remain humble before God and that they will not be anxious, but trust God's leadership. Pray that Grace Baptist will stand firm against the schemes of the devil. Prayer Prompts: Pray for the search team to make wise use of their time during their meetings. Pray for the Lord to reveal His will to our future pastor. Prayer Prompts: Pray that in times of discouragement, the search team and the church will seek the Lord diligently and have confidence that He is at work bringing the church and future pastor together. Now I rejoice in my sufferings for you, and I fill up in my physical body—for the sake of his body, the church—what is lacking in the sufferings of Christ. I became a servant of the church according to the stewardship from God—given to me for you—in order to complete the word of God, that is, the mystery that has been kept hidden from ages and generations, but has now been revealed to his saints. God wanted to make known to them the glorious riches of this mystery among the Gentiles, which is Christ in you, the hope of glory. We proclaim him by instructing and teaching all people with all wisdom so that we may present every person mature in Christ. Toward this goal I also labor, struggling according to his power that powerfully works in me. Prayer Prompts: Pray that when the time comes to extend a call to our next pastor, God will make it unmistakably clear to the future pastor and church. Pray for the Lord to work powerfully in Grace Baptist to make disciples. And the Lord’s slave must not engage in heated disputes but be kind toward all, an apt teacher, patient, correcting opponents with gentleness. Perhaps God will grant them repentance and then knowledge of the truth and they will come to their senses and escape the devil’s trap where they are held captive to do his will. Prayer Prompts: Pray for the search team to discern if potential pastoral candidates possess the biblical qualities of a servant of the Lord. Pray for Grace Baptist to affirm these qualities in their future pastor. Prayer Prompts: Pray for the search team to not grow weary in their work. Pray that the search team and our church will be able to see God's hand at work bringing us together with our future pastor. Therefore, if there is any encouragement in Christ, any comfort provided by love, any fellowship in the Spirit, any affection or mercy, complete my joy and be of the same mind, by having the same love, being united in spirit, and having one purpose. Instead of being motivated by selfish ambition or vanity, each of you should, in humility, be moved to treat one another as more important than yourself. Each of you should be concerned not only about your own interests, but about the interests of others as well. You should have the same attitude toward one another that Christ Jesus had, who though he existed in the form of God did not regard equality with God as something to be grasped, but emptied himself by taking on the form of a slave, by looking like other men, and by sharing in human nature. He humbled himself, by becoming obedient to the point of death —even death on a cross! As a result God highly exalted him and gave him the name that is above every name, so that at the name of Jesus every knee will bow —in heaven and on earth and under the earth— and every tongue confess that Jesus Christ is Lord to the glory of God the Father. Prayer Prompts: Pray that Christ's attitude of humility and servanthood permeates both the search team and the church during the pastor search process. Prayer Prompts: Pray for Grace Baptist to be a Great Commission church that makes disciples. Pray that our future pastor will be a Great Commission leader.